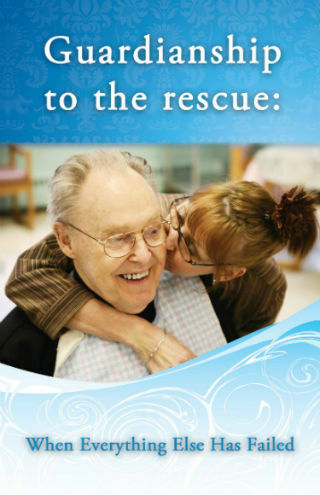 Guardianship to the Rescue - Jimmy D. Long, Jr. Dealing with a loved one who is mentally incapacitated is certainly one of the most difficult experiences of a lifetime. Whenever possible, we work with our clients to avoid the confrontational and often family-dividing legal remedy known as guardianship. Avoiding guardianship issues should be one of your greatest motivators to see us for an adequate estate plan, so that in the event that you ever become incapacitated, no loved one will be faced with an adversarial court proceeding to have you declared incompetent. A court-appointed guardianship is a protective arrangement established by the legal system on behalf of a mentally incapacitated individual. Most frequently, guardianships are established on behalf of older adults who have lost mental capacity due to senile dementia, major strokes, severe mental illness, or other conditions. Law ElderLaw works to establish guardianships when an individual has lost mental capacity and no one can lawfully act for him/her due to the absence of appropriate powers of attorney or other documents that we will refer to as “advance directives.” Sometimes a guardianship needs to be established when there is evidence that some individual who is an agent or caregiver under an advanced directive is abusing their authority. We typically work with two types of guardianships in Illinois: (1) guardian of the person, and (2) guardian of the property. The guardian of the person is in charge of making personal and medical decisions on behalf of a mentally incapacitated individual. The guardian of the property is in charge of making financial decisions on behalf of such an individual. It is important to note that one person can serve as both guardian of the person and of the property. It is also possible for there to be co-guardians, where two or more individuals will have equal authority over the personal matters, medical decisions, and finances.